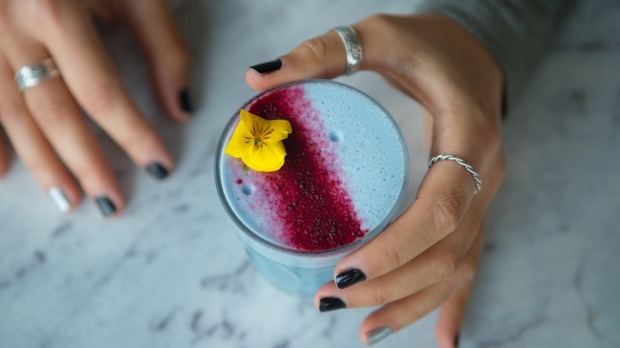 Just when you thought the wellness world couldn't get any wackier, enter the new wave of pastel lattes. Yes, lattes with that super cheesy name, rainbow, among others. 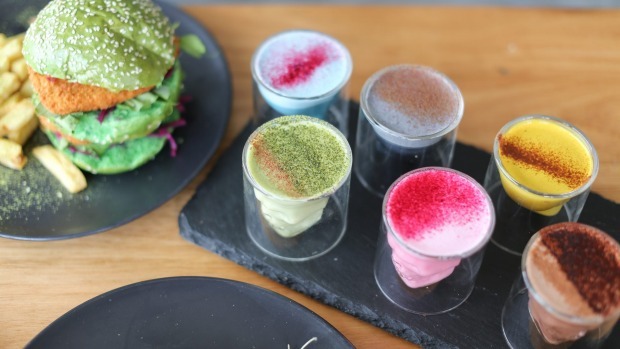 In Brighton, Melbourne, Too Many Chiefs has been converting locals with rainbow latte art and turmeric, matcha, beetroot and charcoal infusions. "We've been overwhelmed by the willingness of customers to experiment with new flavours. We sell anywhere from 10 to 30 cups of our house-made turmeric blend each day," the cafe's co-owner, Jayben Newson, says. He admits the novelty factor was the initial selling point but now customers are much more informed. "Our customers choose lattes for their medicinal qualities and they'll base their purchase on the ailments they suffer from." The ingredients have also spilled over into their food menu. 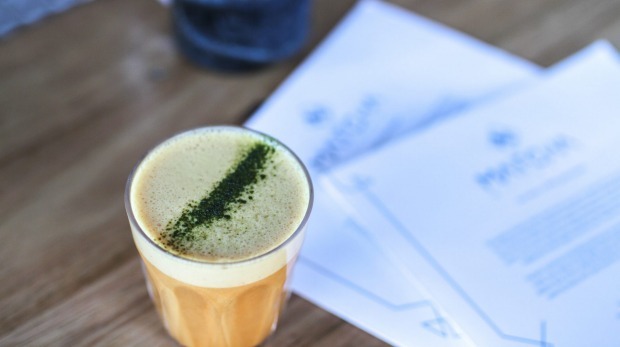 "Turmeric, beetroot, charcoal and matcha are now incorporated into all our shakes and smoothies as well as the charcoal yoghurt, turmeric goat's cheese and charcoal brioche burger buns," Newson says. 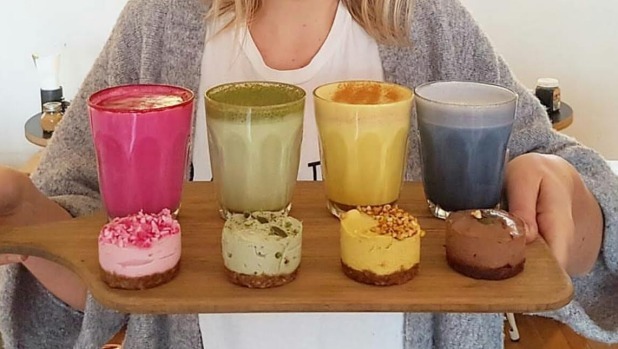 Over in St Kilda, Matcha Mylkbar has 10 super-food lattes, from traditional matcha and turmeric to a "smurf latte" (blue algae), "carrot cake latte" and "purple peanut butter latte" (using purple sweet potato). For the cafe's co-owner, Nic Davidson, what began as a humble discovery about matcha, opened his and business partner Sarah Holloway's eyes to a world of healing ingredients and beverage options. "We were meeting with our now business partner Mark Filippelli in LA and researching beverage trends when we discovered the 'blue zones' - five areas where people live longer than anywhere else in the world. One of which is Okinawa in Japan - they live to nearly 100 years old due to their mostly plant-based diet and matcha consumption," he says. "By presenting the obscure ingredients in a way that's a novelty, we knew it would tempt even the more conservative to try them. "We thought why not offer all the colours of the rainbow and expand into more amazing super-foods people could benefit from." Davidson says the quirky flavours have been a hit with customers. "The smurf, mushroom, apple pie and matcha are all popular but the smurf latte would be our superstar. 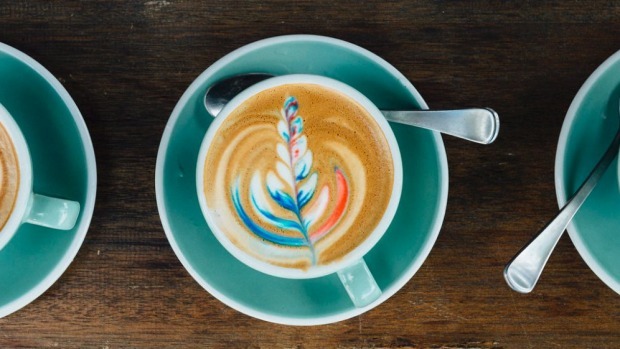 As one of the very first blue lattes to have emerged worldwide it has gained quite a lot of traction thanks to a product's ability to go 'viral' these days. Plus it's a very distinctive blue and has a delicate yet refreshing citrus taste." But is the trend just another fad spurred on by social media, or will its super-food status gain merit as a staple menu item? Davidson believes with the health-conscious crowds growing by the day, coffee alternatives will become a permanent fixture in the future. "When I began to reduce my coffee intake I saw the impact it had on my health and well-being. So ... there is definitely an increase in people steering away from coffee because there are other options." Sydney nutritionist Lee Holmes says the new alternative lattes are a fun way to wean off caffeine. "Nutritionally there are great health benefits but they won't give you the energy boost that coffee provides," she says. "If you like a morning coffee there's no reason to give it up, just switch your drinks up now and again so that you have variety. It's all about moderation." 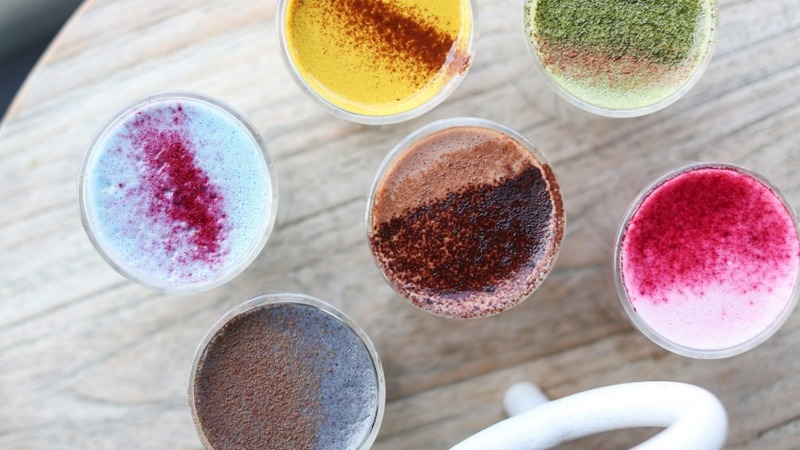 Matcha Mylkbar offers 10 super-food lattes, from matcha to turmeric. "Beetroot is a root vegetable that can help fight inflammation and detoxify the liver. Beetroot is also high in antioxidants and can even boost exercise performance," Holmes says. "Charcoal has long been used in ancient medicine to cleanse the body by absorbing toxins on its way through the digestive system, making it great for gut health, clear skin and general wellbeing," Newson says. "Algae has an amazing probiotic effect on the gut. It's also nutrient dense and high in protein and antioxidants," Holmes says. "A mix of high protein and high vitamin A and C - it's got amazingly high antioxidant levels," Davidson says. "Rose water has been used in natural medicine to help with bloating, indigestion and even sore throats. Drink a rose latte to calm and hydrate the body," Holmes says. "Lavender has anti-inflammatory properties and can help treat anxiety, insomnia, depression and restlessness," Holmes says. Also keep your eyes peeled for the mermaid latte made using butterfly pea tea and the amethyst crystal latte emerging in the US and soon to hit Australian shores. 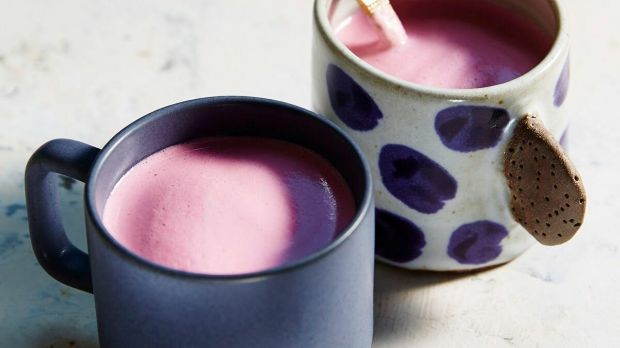 Alternatively, try nutritionist Lola Berry's hibiscus latte at home. Place the hibiscus flowers in a metal ball tea strainer, then pop your pot on a medium heat with the hibiscus flowers, tea bag and almond milk, add the stevia and simmer, then enjoy your lovely sugar-free and dairy-free antioxidant-rich drink.